← Calling All BODs – Join Us For The President’s Race! Sarah Louise Sold – Welcome To The Fleet Celia and David Charlton! 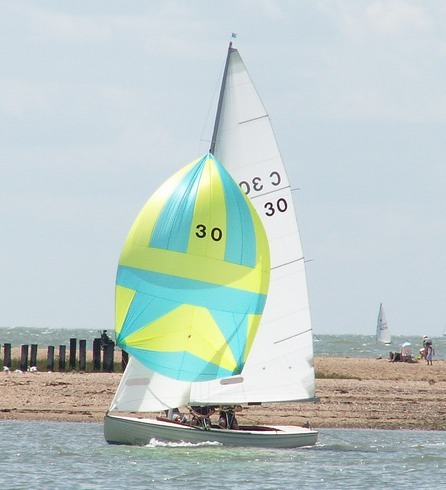 Just four days after we first posted the advertisement, Sarah Louise has been sold to Celia and David Charlton who hope to have her ready to race in Pyefleet Week. Celia and Dave got the BOD bug earlier this year after a few sails in Grethe and when Sarah Louise came on the market they couldn’t resist the opportunity. David and Celia are already well known to many of us in the fleet as they are long time members of the Sailing Club and Dave is currently the Vice Commodore Sailing at BSC. They have been long time and very successful members of the Merlin Rocket fleet so we are thrilled that they have joined the BOD fleet and look forward to welcoming them to the family and to racing against them. Welcome Celia and David!